Next stop Madrid. Can hardly wait to immerse myself in art there. 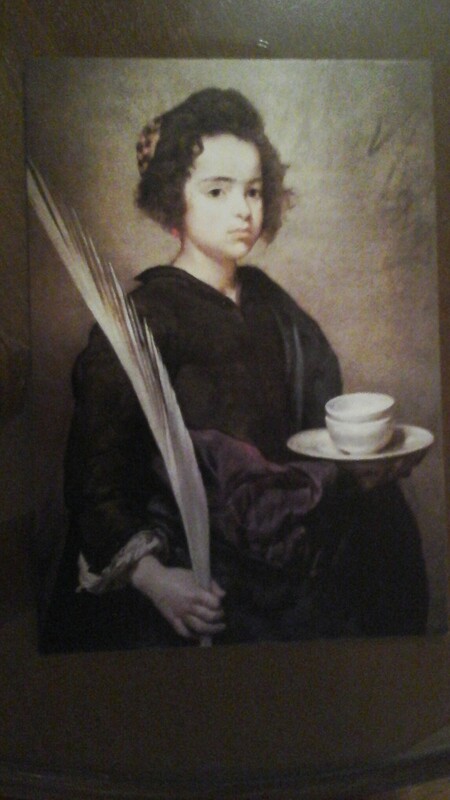 This painting of Santa Rufina painted by Diego Velazquez in 1629 -1632 hangs in the small gallery established by the Fundacion Focus-Abengoe, Seville. It’s worth a trip to the Hospital de los Venerables, a 17th century Baroque mansion and a quiet retreat providing respite from the flurry of Seville, to see their small but quality collection of Seville masters. The building, with a beautiful central courtyard, was once a hospice for ageing priests; a very fine place to see out your final time.